Update 7/29/2017: Google released Voice Access inside of the Google Play Store. You no longer need to install the XDA app. Google quietly released a voice-control app: Voice Access. It’s great for two groups: disabled people who have trouble using their smartphones, and able-bodied people wanting voice control over their Android device. Voice Access requires enrolling in its now-filled beta program, but XDA members managed to pull the installer so anyone can use the app. Unlike AutoVoice, it works without an Internet connection. 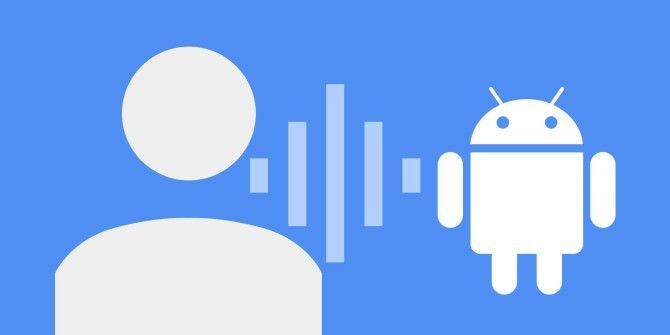 Here’s an introduction on how to get the app, how to use it, and potential uses for a voice-controlled Android device. How to Get Voice Access? Voice Access requires either the official XDA app or downloading an installer from an unknown source. I highly recommend using the XDA Labs application. I pulled the application from my own Nexus 9 (review of Google’s tablet HTC Nexus 9 Tablet Review and Giveaway HTC Nexus 9 Tablet Review and Giveaway Read More ), in case you want to take a gamble — but my recommendation is to install XDA’s application. First, enable the option to install from unknown sources Is It Safe to Install Android Apps from Unknown Sources? Is It Safe to Install Android Apps from Unknown Sources? The Google Play Store isn't your only source of apps, but is it safe to search elsewhere? Read More . You can find it in Settings, nestled within the Security section. Second, install the XDA Labs app, select the Apps tab, and search for Voice Access. Third, once the Voice Access page loads, tap on the download icon on the right-side of the screen. This downloads the Voice Access .APK file (Android installable). After it finishes downloading, from the pop-up menu, choose the install option. After installation, you must go to Settings, then Accessibility. Choose Voice Access and switch the service on. A brief tutorial runs after switching the service on (do the tutorial). You can pause Voice Access from any screen pulling down the notifications bar and tapping on Voice Access. Voice Access requires Always On Google Now, which enables the operating system to process vocalized commands from any screen. Enabling Always On in Google Now requires heading to the Google App, navigating to Settings, then choosing Voice from the left-pane. Then switch on From the Google app and Always on. You’ll receive a prompt to train Google Now to recognize your voice. The Voice Access app enables an Android device (Android 4.1 Jelly Bean or newer) to receive vocalized commands. The app also overlays numbers over every interactive element displayed on the screen. It contains three basic modes of operation: Text composition, navigation, and gestures. Text composition allows voice transcription. First, launch the application which receives text input, such as email. You can launch apps one of two ways: Speak any of the numbers displayed on-screen or say open followed by the app name. For example, if you want to send an email using just your voice. From the home screen, vocalize the number of the email client (24, in the screenshot above). Alternatively, you can say “open Gmail.” Then the number of the email that you’d like to read (9, in the screenshot below). Composing an email won’t require much effort. Speak the number of the compose icon (19, in the screenshot above), then begin speaking. Voice Access’s recognition capabilities seem about 90% accurate. For the remaining 10%, say each individual letter in the word and then rely on Google Keyboard’s autocomplete function. Voice Access also recognizes commands, such as “backspace” and “enter”. It includes a large number of advanced composition voice commands, such as “delete sentence”, which erases an entire sentence, and “delete word” which wipes out the word next to the cursor. There are a lot more commands than the ones shown in the screenshot. For a complete list, say “show commands“. Users can also use their voice for menu navigation. The commands allow complete control over their system’s wireless and menu navigation. Because Voice Access is an accessibility tool for the disabled, it rewires gestures into voice commands. If an app requires a particular gesture to perform an action, users only need to vocalize the gesture. The best example is on the unlock screen. Users can say “unlock” which activates the unlock gesture (swipe up). Combined, composition, navigation, and gestures make Voice Access capable of doing anything users do with their fingers. This makes it suitable for a wide range of roles. 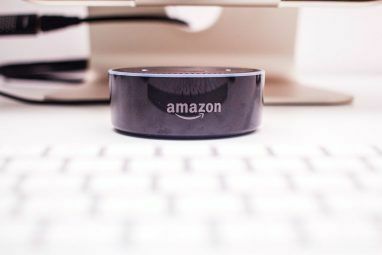 With Voice Access, any Android 4.1+ device can function as a voice-controlled hub, similar to the Amazon Echo (our review Amazon Echo Review and Giveaway Amazon Echo Review and Giveaway Amazon’s Echo offers a unique integration between voice recognition, personal assistant, home automation controls, and audio playback features for $179.99. Does the Echo break into new ground or can you do better elsewhere? Read More ). Some possible roles include: voice-control smart hub for Internet of Things devices What Is The Internet Of Things & How Will It Affect Our Future [MakeUseOf Explains] What Is The Internet Of Things & How Will It Affect Our Future [MakeUseOf Explains] It seems like there are new buzzwords popping up and dying off with each day that passes us by, and "the Internet of Things" just happens to be one of the more recent ideas that... Read More , a media center remote, and as a voice-control method for Android Auto What Is Android Auto And How Can You Get It? What Is Android Auto And How Can You Get It? Android Auto generated a lot of buzz at CES this year, but what exactly is it and how can you get your hands on it? Let's examine it. Read More . Those using Smart Home What Is A Smart Home? What Is A Smart Home? We recently launched a Smart Home category at MakeUseOf, but what is a smart home? Read More devices, such as D-Link’s range of Connected Home products (such as the ULTRA router D-Link Connected Home Set Review and Giveaway D-Link Connected Home Set Review and Giveaway D-Link's Connected Home products introduces high definition security cameras, a water sensor, and a smart WiFi power switch. But is D-Link's vision of the Smart Home ready for your living space? Read More ), should try Voice Access combined with an Android device. You’ll just need to configure your Android device to constantly listen for voice commands. Unhide Developer options What Is USB Debugging Mode on Android? Here's How to Enable It What Is USB Debugging Mode on Android? Here's How to Enable It What is USB Debugging on Android? Learn about this advanced feature for pushing commands to your Android device. Read More in the Settings menu by tapping multiple times on the Build Number under About Phone. Within Developer options, turn on Stay awake. 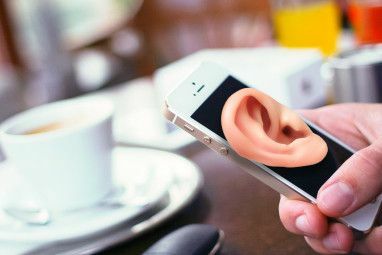 This allows the device to keep listening even while plugged in. Do not enable this option if your device uses an AMOLED screen. 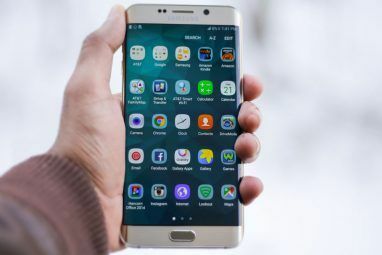 AMOLED screens suffer from burn-in How to Prevent Burn-In on AMOLED Screens and AMOLED Displays How to Prevent Burn-In on AMOLED Screens and AMOLED Displays Use these tips and methods to prevent AMOLED burn-in and prolong your smartphone screen or laptop display. Read More , even on newer models of AMOLED panels, despite manufacturer claims. Additionally, leaving your device plugged in isn’t good for your battery’s long-term viability Keep Your Android's Battery Healthy With These Tips Keep Your Android's Battery Healthy With These Tips Software and apps can only go so far -- what about how to charge and discharge your battery? Learn all the tricks here. Read More . Leaving it perma-plugged only offers a good option if you want to repurpose an unused device. Users can then control their Smart Home using whatever app they prefer. You can output an Android device’s video to a larger screen. Compatibility varies from device-to-device, but most use the Display Cast (also known as Miracast) feature, which allows the wireless video output from Android to either a SmartTV What Is a Smart TV? 6 of the Best on the Market Today What Is a Smart TV? 6 of the Best on the Market Today Most televisions you look at now will be smart TVs, but what is a smart TV and which ones are the best on the market right now? Read More or a Miracast adapter Netgear PTV3000, Smallart PTV and Belkin Miracast Adapters Review and Giveaway Netgear PTV3000, Smallart PTV and Belkin Miracast Adapters Review and Giveaway We reviewed the Netgear PTV3000 Miracast and WiDi adapter ($58.99), Belkin Miracast adapter ($79.99) and the Smallart PTV-02 Miracast adapter (€49.90). Which one is the best? Read on to find out. Read More . When combined with Voice Access, an Android device can function as a keyboard-less means of controlling your media center. Unfortunately, it will also process the audio outputted from the television, so pausing or stopping media content requires physically interacting with the device. With further development, Voice Access may offer a unique interface for Google’s Android Auto app, which turns your smartphone into a control system for your car’s head unit. Unfortunately, Android Auto doesn’t offer complete hands-free control over your device, but Voice Access can help fill in the soft spots. An interesting development is Remix OS 2.0 A Real, Android-Based Alternative to Windows: Remix OS 2.0 A Real, Android-Based Alternative to Windows: Remix OS 2.0 Read More , an x86-compatible installable operating system. Users might one day be able to create their own carputer (see: ways to make a carputer The Car Of Tomorrow - Today: Top Tools To Put a Computer In Your Car The Car Of Tomorrow - Today: Top Tools To Put a Computer In Your Car It is becoming an increasingly popular pastime to add a new element to cars, a new hub for entertainment, GPS and communications. The carputer seems to have been inspired partly by TV shows such as... Read More ) using off-the-shelf PC components. Google’s Voice Access already offers some very useful features. It can be incredibly useful for disabled people or just anyone looking to control an Android phone or tablet solely with their voice. It’s a great way to make use of obsolete devices. Has anyone tried Voice Access yet? Can you think of any other uses for it? Yes, it worked, I finally deleted all my social accounts across the WWW, downloaded Messenger for desktop to keep in touch with friends and family only. Now I'm free? So thanks to MUO for always being topnotch knowledge base. Now, wheres that book I've been dying to read? Is it possible to access email on an Android tablet via voice command? Yes. The app is in Beta right now, but you can download and install Voice Control directly from the Play Store. Is it possible to access other apps on an Android tablet via voice command? Can one open and compose an email through their email app? I only want to use voice to make and answer calls. Will this app allow me to simply say "answer" when someone calls? Does the phone have to be plugged in or have Wi-Fi connected to work? In other words can I be riding in a car and answer the phone via voice command? It should be able to do what you need, although I've never tested this myself. It may require configuration before it functions properly. My mom can't use a phone with her hands since her stroke. I searched for a way for her to make phone calls hands free. This required a new phone. I got one for her. I searched for voice activated (wake up device) app and found voice access. I downloaded. We went through the set up (including OK Google). It refuses to recognize her voice. It won't work without an internet connection. This is NOT hands free so muchs it is internet controlled. We live in the country, just far enough out for satellite to be required. We need true voice activated and controlled phone use. Do you know where to find that? Google has since released the app in the Google Play Store. I tried downloading the voice access app on my HTC Desire 620g dual SIM phone using the XDA Labs app, the download didn't start and showed the following error: "there is a problem in parsing the package". That sounds like a corrupted download or a poor Internet connection. Have you tried downloading it over a desktop and sideloading it to the phone? I am looking for a way to provide basic music player controls while I am running (next, back, volume up, volume down...). Usually for Pandora or Doubletwist, but I am flexible regarding the player. Would Voice Access enable this? That's a tough question. Noise pollution makes modern voice recognition less reliable. You also need to be able to see the screen to be able to use certain features of voice control. In theory it will work. In practice, it might not work very well. Great article! This info may be a life changer for me. Because of ALS I have lost all functional use of the muscles below my neck. This app will allow me to use a smart phone and access all the technology associated with it. Thank you! Thank you for the kind words! The one thing Voice Access is lacking is good integration with screen-off Google Now. If they do properly integrate the two, it will be possible to switch the screen on with just your voice and then fully control it. That would allow users to use a smartphone or tablet without requiring that it be plugged in all the time. retrieve content..and freezes I click ok or cancel and nothing happens... cant get by this notice..also happens with other "services" and ideas? It seems that something about TouchWiz is interfering with the Voice Access service. I do not believe that this situation is resolvable until Google updates Voice Access to offer better compatibility with Samsung devices. Hopefully they correct this issue soon. Sorry for the inconvenience. Thank you for the kind words. Glad that you're enjoying voice control! We have tried several times to download it on our Samsung Galaxy S7. It hasn't arrived. Possibly our security software blocks it? Which program are you having trouble with? XDA Labs is an app from outside of the Play Store, so you have to enable installing from Unknown Sources. It should be compatible with Samsung devices. You can also trying downloading the Voice Access APK directly, although I don't recommend that option. Nice! A network camera head unit is a great idea! There are instructions online on turning a Nexus 7 into a carputer.